Douglas is currently undertaking his PhD 'Unravelling the transport, cycling and treatment of nutrients in carbonate sand groundwater systems'. This project involves using novel technologies to describe the drivers behind eutrophication in coral sand systems and designing new treatment systems suited to developing communities. 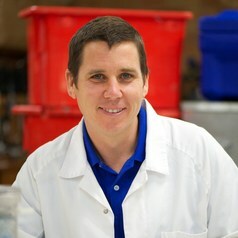 He has interests in applying radioisotope techniques to describe groundwater and atmospheric soils gas fluxes.